Here’s what Northwest Asian Weekly wrote about our foundation after attending one of our meetings. How has your identity influenced your interactions, thoughts, and beliefs throughout your life? What does Chinese American Identity mean to you? Interns addressed how the PBS American Creed documentary connected to their experiences & background, how it inspired them, and how it related to the program. Interested in the program? Click here to fill out the application. Pathway Foundation advocates and guides young people in Civic Engagement. The Mayor Lee Internship provides opportunities to practice civic engagement, develop leadership, and enhance communication skills. 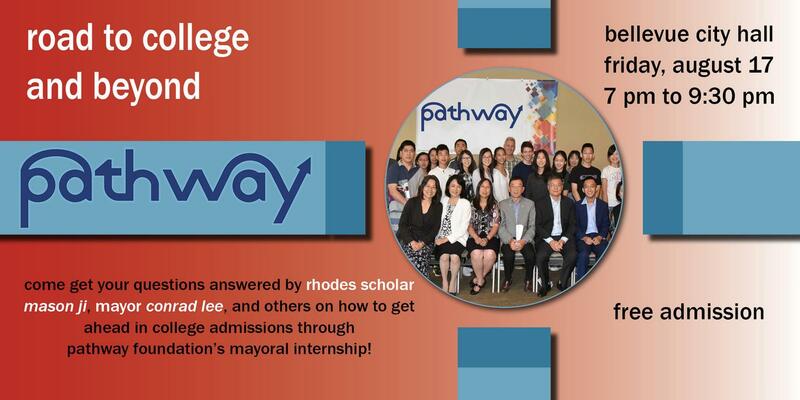 Each year, Pathway Foundation holds a summer conference in order to share the collective experience and academic benefits of civic engagement. Join Pathway Foundation! Donate Now! Join Our Mailing List!